Photography is an art form in which new techniques are born through experimentation every day. This is especially true now, when every single person is walking around with a 12 megapixel camera in their pocket. There are thousands of industry specific terms for everything from your camera, to printing specs and ink types, to software you can use to manage your photography business. Even a pro could use a refresher course on photography terms from time to time. The difference between a lower-quality gallery canvas wrap and a genuine artist or museum grade canvas wrap comes down to the sum of the canvas wrap’s parts. 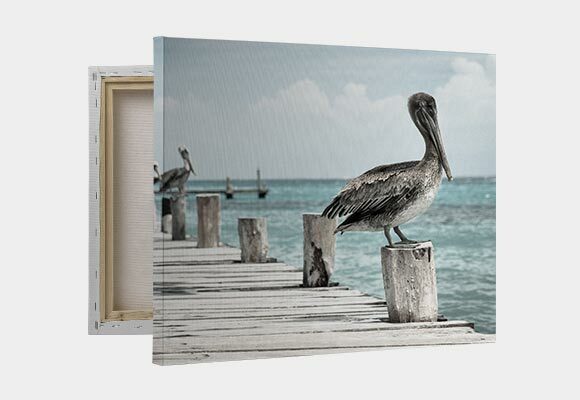 Durability, image clarity, and color accuracy all play a factor in the overall quality of a canvas wrap. At CG Pro Prints, we created a technologically advanced premium gallery wrap that is protected by four patents. Our wraps are warp-resistant and manufactured to stay taut and flat. We use environmentally friendly inks that are free of optical brightener additives (OBAs) and are designed to hold up over time without fading. Thanks to a little startup called Apple, this word has two meanings. One is the size of the opening in your camera lens, and the other is a software for Mac used for photo editing. On June 2, 2014, Apple discontinued the excellent Aperture program in favor of the simplified Photos software, so we’ll just focus on the camera lens term for now. The aperture on a camera is a lot like the blinds in your house. The more they’re open, the more light gets through and makes things brighter. Close the blinds/aperture, and it gets darker. You also may have heard the term “f-stop” (which we’ll go into more detail down in the “F” section), but “f-stop” is referring to using your aperture as a way to gauge the amount of light your camera is taking in. Your aperture also affects the focus of your image. A small aperture makes things sharp, while a wide aperture causes the peripheral of your shot to be unfocused. 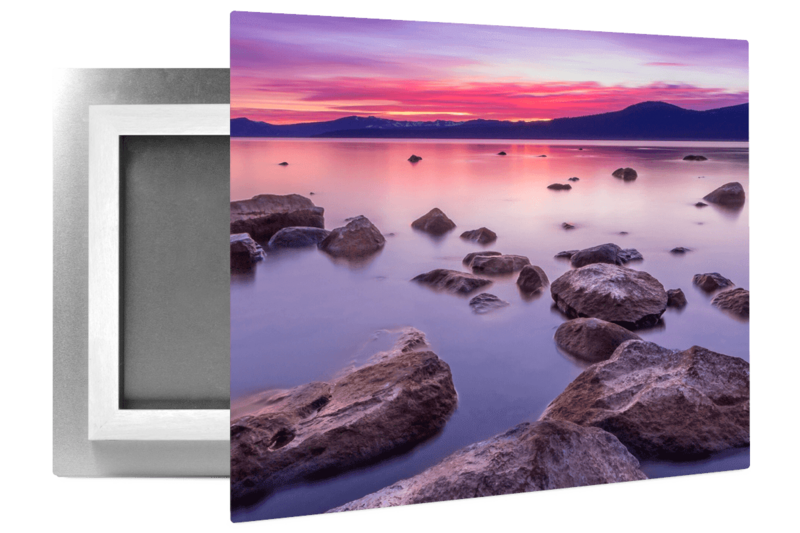 We love 16x24 canvas wraps because you can shoot in a 2:3 aspect ratio and not have to edit anything. Just upload and print! Woo! The aspect ratio is just the ratio of your image’s height and width (For example, an 8x10 would have the same ratio as a 4x5.). Like we mentioned, this really comes into play when you’re printing your photos on canvas, etc. 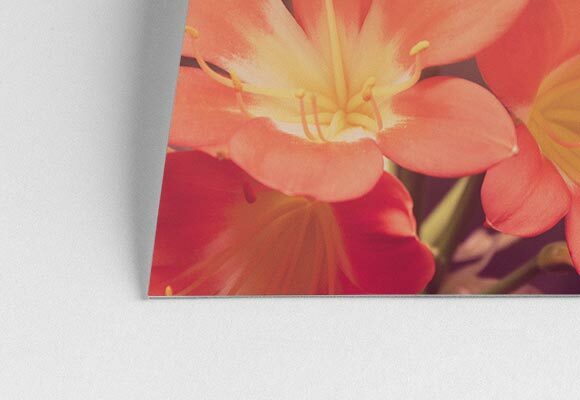 It’s always a good idea to crop your photos to the right ratio so nothing gets cut off on your print (If it’s a 16x24, this is the default, so you’re already finished!). Do you like pretty little shapes in your photos? Want to add some festive cheer to your image? There are many ways to achieve a bokeh effect, including cutting shapes into cardboard and placing it over your lens. The term “bokeh” is an adaptation from the Japanese word for “blur.” It’s used to describe the quality of the areas in your picture that aren’t in focus. When trying this technique, it’s often a good idea to set your aperture to its lowest setting (completely open if possible). It’s a neat way to add interesting flair to your photo’s background. This setting is found on most SLR (single-lens reflex) cameras, no matter if you’re using digital or film. Simply put, burst mode is the ability to take multiple photos at once for as long as you hold down your shutter button. Obviously, this technique can be a bit more fun on a DSLR with a huge memory card because you don’t have to worry about burning through your film too quickly. The speed at which your camera can use burst mode varies depending on the brand and type. You can determine your camera’s specific burst speed by looking at the frames per second (FPS) listed. 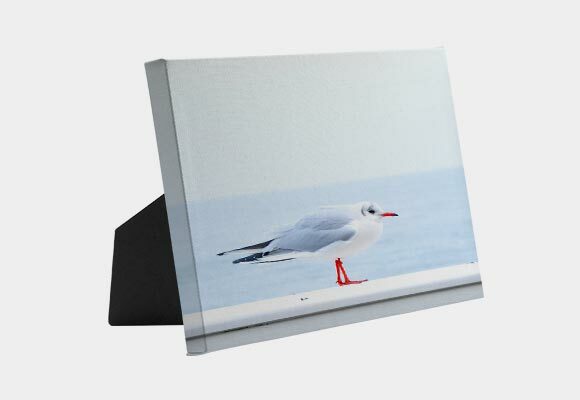 A Canvas Mini is great for a table-top display at a photography conference, in your studio, or for your client. 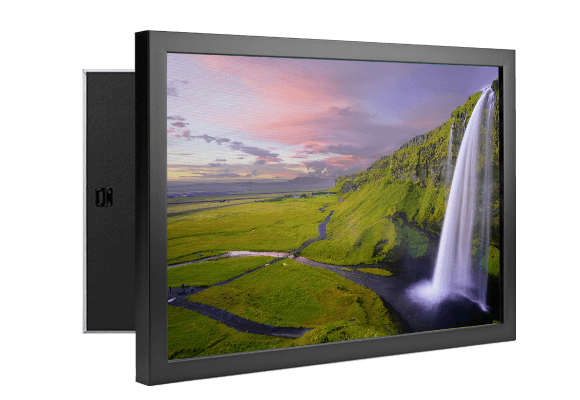 It’s a scratch-resistant canvas with an easy-to-stick adhesive stand that goes on the back for an simple, affordable display option. Canvas ornaments use the same high-quality canvas you know any love, and are a fun way to help your clients display their most cherished memories. Each ornament is printed on both sides featuring the same image. They are constructed using premium card-stock and come in four festive shapes. They’re great for decorations, personalized gift tags, unique save-the-date announcements and more! Canvas prints, or canvas gallery wraps, as they are better known, are what CG Pro does best! CG Pro uses a method of stretching a piece of canvas around the sides of the stretcher / strainer bars and then securing it to the back of a wooden frame so that the Canvas “wraps” around the finished product. 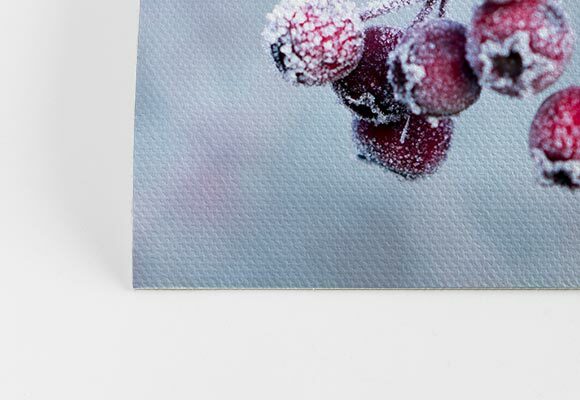 Durability, image clarity, and color accuracy are our top priority for canvas printing. Our inks are designed to hold up over time without fading. We preserve as much fine detail as possible with no over-saturation or color shifting. 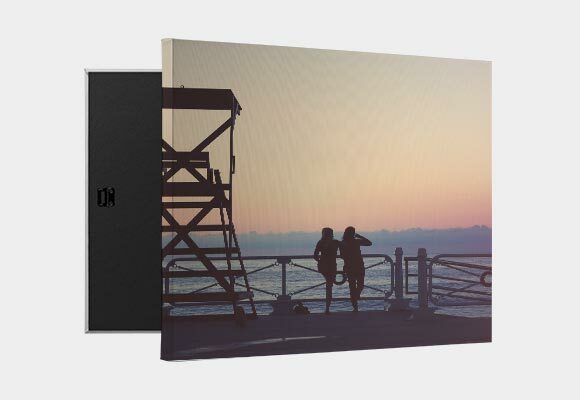 And, each canvas print is artist-grade and OBA-free so it’s as high-quality as your photos. This unique product is made from woven polyester fabric with an ultra-removable adhesive, so you can re-apply them to nearly any surface again and again. Clings are perfect for event photos, wall decor, sports packages, and marketing materials. Our favorite use so far has been decorating the sides of an Airstream trailer! Two of the more popular printing methods are CMYK and RGB. CMYK stands for cyan, magenta, yellow, and black. Since this method uses four inks, it is also sometimes referred to as “full-color printing”. RGB stands for red, green, and blue. When it comes to RGB, there are colors you can see on your computer monitor that won’t show up in printed CMYK inks. We recommend all RGB files be converted to CMYK to avoid color conversion issues or “color shifting” (see next definition). Color shifting is a perceived change in the color of elements on a printed piece caused by changes or irregularities in ink densities, dot gain, or color registration during a printing press run. If someone says: “You have a natural eye for composition,” then count your lucky stars. This is one of the biggest skills to have in your photography arsenal and turns an “OK” photograph into a great one. Composition is essentially just the ratio of different subjects in any given image or how they’re arranged within the frame. There are rules to creating a good composition (like the “Rule of Thirds” or “Rule of Odds”), but like anything, rules are meant to be bent, if not all-together broken. See any of the definitions below to learn more about composition guidelines. Do you plan on photographing moving objects? If so, Al Servo is a good term to know. You’ll want a camera that allows for more than just a single autofocus mode (which blurs the image if your subject moves at all). Instead, you’ll want a camera with “Al Servo” or “Continuous autofocus” capabilities so that if your subject does move while you’re taking the shot, your camera will focus with it, and your image will stay sharp. This is how much of your image is in focus vs. being blurred. Depending on the type of photograph you are taking (portrait, landscape, etc.) you may want a different depth of field. Portraits typically focus on a main subject or subjects, often from the bust up. As such, most portrait photography features a blurred background because your focus is close to the camera. This is called a “shallow depth of field.” Alternatively, with a landscape you probably want to capture as much detail in the terrain as possible, so a larger range would be used for your depth of field. A measure of space in printing that refers to the density of dots that can be placed within the span of an inch. The higher your DPI settings on an image, the higher clarity it will likely have in print. The “SLR” part stands for “single-lens reflex.” The “D” in “DSLR” just stands for “digital.” A DSLR combines the optics and the physical elements of an SLR camera with a digital imaging sensor instead of photographic film. An SLR camera typically uses a mirror and prism system to allow the photographer to see an image through the lens exactly as it will be captured. This is different than a “twin-lens reflex” camera or “rangefinder” camera, which can alter the final image compared to what you see through the viewfinder. 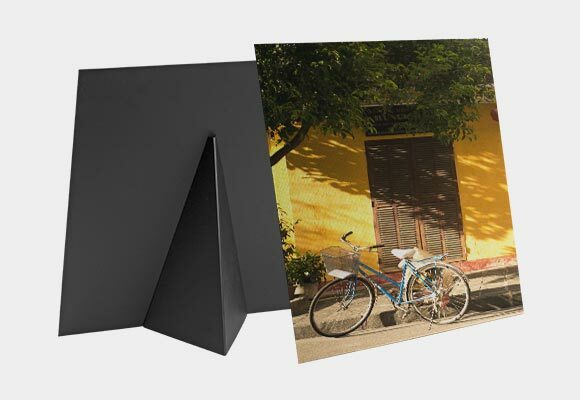 Easel-backed canvas wraps are the exact same build and quality as our larger solid-faced canvases, but come with a pre-installed easel leg and hanging hardware so you can display it in both portrait and landscape orientation. Have a photo that’s too dark? It’s underexposed. Is your photo too bright? It’s overexposed. Exposure is controlled through your camera’s aperture, ISO, and shutter speed. The important thing to remember about exposure is there is no wrong setting. Some photo editing software can help with exposure, making manual adjustments here and there in post-production. Some folks take multiple photos at various exposure settings and then stack or layer them on top of each other to capture every little nuance of the subject in certain light. It comes down to your personal taste. One of the ways to adjust exposure on your camera is through exposure compensation, which makes your photographs brighter or darker. This is easier to use on a DSLR, because you can look at the screen to see the changes immediately, versus having to use film. That said, a skilled photographer using an SLR can use exposure compensation in certain modes depending on the desired effect. Modes P, S, and A on a camera will adjust settings for ideal exposure automatically. Exposure compensation is measured in stops of light. Positive numbers give you a brighter shot, while negative numbers give you a darker photo. Just as with eyeglasses, using binoculars or a telescope focus on a camera requires you to focus your lens on your subject in order for your camera to see it. Different focus areas determine if the camera is focusing on multiple points or one user-selected point. This setting tells the camera when to use the flash. Most DSLR cameras will allow you to set the flash anytime from the beginning of the photo to the end, depending on your camera’s independent settings. Another use for flash sync involves syncing your camera’s flash to a studio strobe lighting kit with umbrella lights, or anytime you have a flash not directly connected to your camera. In these situations, you can use wired syncing or a wireless remote. If you’re using more than one flash, you can sync them using a flash with an optical slave, which will fire the flash when it captures light from any other flash in your setup. 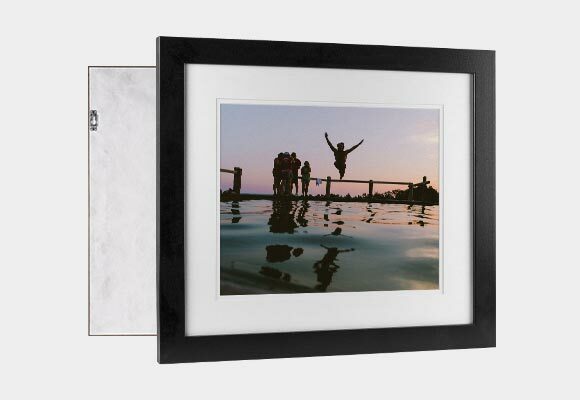 Unlike more traditional frames that sit right up against a mat or print, a float frame sits a few inches away from the print. The slight extra space between the frame and the print helps accent the piece even more. An inset float mount is a type of hanging hardware, found primarily on metal prints. Inset float mounts are typically recessed from a print’s edge, so it gives the finished product the illusion of floating off the wall. They feature a nail groove, so it is super easy to take out of the box and put on the wall. A framed fine art print features a giclée paper print (also sold separately without a frame), in a 1.5" modern black, 1.5" modern white, 2" espresso, or 2" classic black frame. All prints come with a pure white double-mat, a protective acrylic face, and hanging hardware for a complete, finished package that is easy to install. Our giclée paper prints are printed on our custom developed 264 gsm paper with pigment-based inks and come in two paper options: satin lustre or textured watercolor. This phrase is self-explanatory. It's just the method of getting the subject or scene of your photograph in the camera’s field of view with a pleasing aesthetic. There are many methods for framing your shot to look the way you want it, including using the Rule of Thirds and overall composition of the shot. There is no right or wrong way to frame your picture—it all comes down to your own artistic vision. Pronounced “zhee-clay,” this word is taken from the French word “la giclée,” which translates to “sprayed.” This is a type of inkjet printing that creates a high-quality print with a long lifespan. Our giclée paper prints are printed on our custom developed 264 gsm paper with pigment-based inks and come in two paper options: satin lustre or textured watercolor. Any image that is to be printed as a giclée needs to be created at a resolution of no less than 300 dots per inch (DPI). Glossy finishes are popular because they are often very colorful and vibrant and can sometimes appear sharper than a matte finish, etc. It comes down to personal preference as to what looks best for your photos when printing. The Golden Hour is the short window of time directly after sunrise or before sunset that creates some of the best natural lighting for your photographs. Light at these times of day is more red and softer than during other times in the day. Depending on the color palette you want your photos to take on, there is also a Blue Hour (30 minutes before sunrise) or Twilight (30 minutes after sunset). If you’ve ever seen a conch shell, you’ll recognize the Golden Ratio. Discovered by Leonardo Fibonacci, the Golden Ratio is a pattern he noticed throughout nature that he observed being pleasing to the human eye. This principle can be applied to photography to create a natural looking composition that balances the subjects in your image. Looking at the example image above, if you place a point of interest in the smallest part of the spiral, the spiral will naturally flow through the rest of the image. The grain is the smallest unit of color on a piece of film. This is essentially the analog equivalent of a pixel on a digital screen. High-Dynamic-Range Imaging (HDR) is a neat little trick used to create a more vibrant and clear photo with better lighting, when used correctly. When using HDR settings, a camera will take several images in rapid succession and then compile them instantly for the best results. Typically, your camera will take one shot overexposed, one underexposed, and one balanced, to produce the most compelling image highlights. Fujicolor Crystal Archive Pearl Paper has a highly reflective pearlescent surface. This paper adds a unique shimmer effect to images and results in ultra-bright backgrounds. 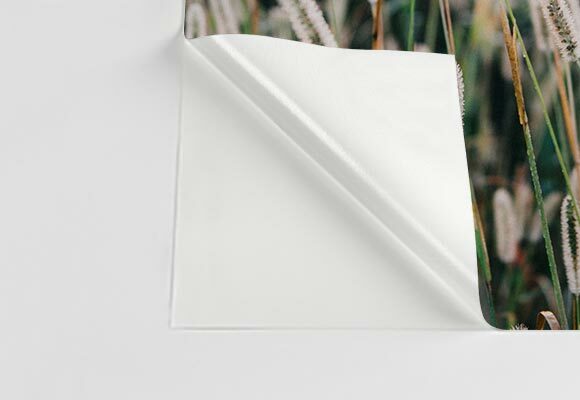 This paper option is ideal for portrait, fashion, fine art, or commercial photography. A histogram is a chart that shows how many light and dark pixels are in any given image. If a histogram shows peaks that are cut off on the left-hand side, that means your picture is underexposed and has a lot of dark hues. If it shows peaks that are cut off on the right-hand side, then your picture is overexposed and has a lot of light hues. A hot shoe is typically found on the top of your camera. It is where different accessories, such as a flash, mount to your device. An IPS photographer is a person who regularly sells to clients in person. This requires a nice studio space where you can showcase your work in different prints - offering a gallery space to give your clients an idea of what to expect should they hire you. While some photographers provide a digital gallery the client can download, an IPS photographer usually doesn’t reveal photos until he or she is sitting face-to-face with a client. Inkjet and silver halide are two methods of printing to paper. It comes down to personal preference, and which you prefer for your images. Many photographers say that inkjet printing provides a much sharper and more saturated look than silver halide. However, some silver halide prints are scratch and water resistant because the process uses emulsion and silver crystals to embed your photo onto the paper. No toner or ink is used. ISO stands for “International Standards Organization.” In photography, ISO refers to how sensitive your camera is to light. You can adjust your camera’s ISO to capture the best photo in varying kinds of light settings. If you’re shooting a nice starry sky, you want to set your ISO higher. If you’re shooting in the middle of the day, then you might want your ISO to be lower. Just keep in mind, the higher the ISO, the more grainy your image will be. Adobe’s Lightroom software is a very popular photo organization and editing tool. Originally released in 2007, Lightroom has grown to include a family of products including Lightroom CC and Lightroom Classic CC. In October 2017, Adobe announced a new cloud-based version of Lightroom that allows users to access their library of photos anywhere they have internet access. Photographers can make edits on the go and have them instantly updated on all their other devices. Lightroom is a non-destructive photo editing software, which means you can always revert your image back to its original state after an edit. Innovation meets tradition with our leather gallery wraps. When printing on leather, your image takes on the unique texture of the leather, which is free of lead, acid, and optical brightening agents, allowing the natural beauty of our leather to accent your photos. All leather is produced in Valencia, Spain, and is comprised exclusively of cowhide fibers. The fibers are bonded together primarily by natural latex, a renewable resource harmlessly tapped from Hevea trees. A minimum of 70% of the total content of our leather is leather fiber and approximately 30% is non-leather substances, principally the natural latex. Our leather is environmentally friendly and consistently free of natural defects. Have you ever seen a photo of a gorgeous star-filled night, where you can see the star’s movement across the sky? How about a shot of lightning striking down from the sky? Photographers able to capture these awe-inspiring moments from nature are using long-exposure to get their shots! Like the name says, a long exposure shot is an image that was allowed to be exposed for an extended period of time (several minutes or even hours). The technique adjusts the shutter speed so it takes a longer time to close and open, allowing the film to absorb more light in a dark environment, creating the images described above. Try it out! “Ahhh, that photo is so radiant, it almost glows!” If someone says that about your photo, it probably has an interesting luminosity. This term refers to the appearance of a print and the warmth of an area’s given brightness. The tricky part about luminosity is that the actual inks and paper of your print play a big part, and it is nearly impossible to replicate luminosity from print to print. If “micro” means small, then “macro” means big. Macro photography is the technique of shooting really tiny things, but in such a way that they appear very large. Typically, the environment around the main subject of your macro shot will be blurred out, with all the emphasis on your main subject. Insect and flower photography are some of the most common genres of photography that utilize macro shots. Remember the term “histogram?” Well you’re going to be using it a lot if you’re shooting in manual mode. This mode allows you to adjust every setting on your camera by yourself to get the perfect shot instead of. having your camera adjust automatically. Matte finish is a coated paper finish that creates a more subdued image when printed. Matte photos are great for pictures of buildings or statues where you want high clarity, but without overly vibrant color. Matte finishes are typically used in black-and-white shots, formal shots like a wedding, and larger sized pictures because a matte finish can show off a lot of detail. Using a process called dye sublimation, we infuse dyes directly into specially coated aluminum sheets to create a unique luminescent effect. The ultra-hard, scratch-resistant surface is waterproof/weatherproof and can be cleaned easily. Our high-gloss metal prints are printed on a white base that allows your image’s rich colors to pop with unprecedented vibrancy. 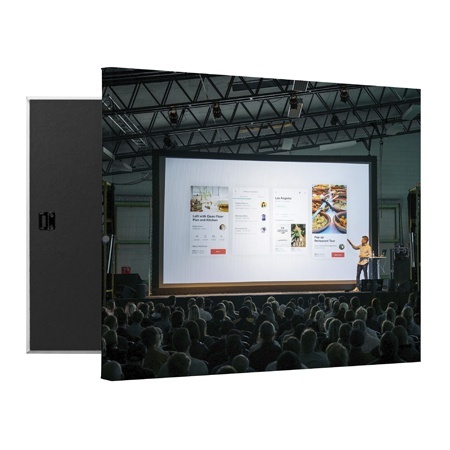 Printed on premium quality aluminum sheets with a high-gloss protective coating, the details and colors of your images will have a life-like depth and dimension. Nearly all DSLR cameras have a built-in light meter, which helps you determine ahead of time if your shot will be overexposed or underexposed. Your light meter will have multiple settings to choose from. Matrix metering, for example, is when your camera absorbs light from your entire environment, while center-weight metering pulls lighting information from the center of your shot. Noise is anything that appears on your photograph that you hadn’t intended to be there. It could be a surplus of grain appearing on your image because you had your camera set with a high ISO. Or, it could be something physically stuck to the outside or (gasp!) inside of your lens. OBA stands for “optical brightener additives.” They are used to increase the “whiteness” of a printed product by absorbing ultraviolet light and emitting more visible light. Sounds good, right? Well, OBAs can impact the shelf-life of a print by causing yellowing over time. All prints from CG Pro Prints are OBA-free to ensure the product is as durable as possible and will last a lifetime. If your camera doesn’t have a hot-shoe to attach and mount camera accessories, you can still get an off-camera flash to do the trick. To help you decide if you need an external flash of any kind, here are some of the common uses: the people in your photos have red-eye a lot, whatever you’re photographing is too dark, your subjects are creating unintended shadows, or you just want an overall brighter shot. Photoshop is perhaps the most popular image editing software used by photographers and designers, alike. Photoshop was created in 1988 and was commercially released in 2003. It has become the industry standard program in raster graphics editing and can edit and compose images in multiple layers in several color modes including CMYK and RGB. If you’re looking to edit images or graphics on a regular basis, start here. “We’ll fix it in post!” How many times have you heard that one? Post-processing is when you make changes or edits to a photo or piece of film after it has been taken. This can be done to make your end-result look closer to what your eye saw, or to add your own artistic flair. There are dozens upon dozens of tools used for post-processing, including analog tricks performed in a dark room while developing film, or digitally, using programs such as Adobe Lightroom and Photoshop. If you’ve got lots of clients and shoots to go to, then you need all the extra time you can get. Enter photography presets. This term refers to any time you have settings you like, either on your camera or in a photo editing software like Lightroom, saved ahead of time so all you have to do is click a button and your settings adjust accordingly. If you edit a photo and just love how it looks, you can save all the adjustments you made on your program’s sliders/dials so that the next time, you can easily replicate the visual style. It’s as easy as that! A RAW photo is the digital equivalent of a negative piece of film. It is typically a huge file, so often photographers have issues with storage space when dealing with RAW images. Be sure you have a hefty external hard drive you can easily store your RAW image files on, if you’re going to be working with them a lot. With a RAW image, you have more control over the edit because more of the true image is captured and available vs. a JPEG, which is significantly scaled down in size, resolution, and detail. Have you ever seen someone awkwardly standing next to a photographer with a shiny thing that looks like a sun-visor you’d put in your car on a sunny day? Well, that is a reflector, and it is used to enhance the lighting of any given photograph by, you guessed it, reflecting light back towards (or away from) the subject. Reflectors come in all sorts of shapes, colors, and sizes. To understand what size you may need, consider where you’ll be shooting. If you’re indoors shooting portraits, then a smaller size will probably work. If you’re outdoors, then larger can be better. As for color, silver reflectors will increase highlights and create a high-contrast image. Gold will create a warmer hue. White will produce a more neutral hue and can help fill in any dark spots in your shot. Black can be used to block or remove light from your shot all together. And, translucent can be used to diffuse light and create a broad, softening effect. You can also get mountable umbrella reflectors that affix to tall strobe flashes on a boom stand. Ahh, the good old Rule of Thirds. One of the most common composition techniques, the Rule of Thirds is when you imagine the image you’re shooting divided into three segments, both horizontally and vertically, creating nine equal squares overlaid on top of your image. For a particularly eye-catching shot, the Rule of Thirds dictates positioning your subject, just outside the center of your photograph in one of the intersections where the horizontal and vertical lines meet either to the left or right of your shot. If you’re shooting a person, for example, a common use of the Rule of Thirds is to align the person’s body along one of the vertical lines, while his or her eyes align horizontally to the line just above. Featuring a semi-gloss lustre finish, Fujicolor Crystal Archive Super Type II PDN offers deep blacks, vibrant colors, and excellent skin tone reproduction. This is the most popular paper option and recommended for any type of photography. In addition to automatic and manual modes, your camera likely has a semi-manual mode This mode includes aperture priority, shutter priority, or programmed auto, which lets you choose a combination of aperture and shutter speed together instead of setting them individually. If the size of the aperture on your camera determines how much light is allowed in, then the shutter speed is how quickly the shutter opens and closes, which also impacts the amount of light that gets in. Typically, the shutter speed is listed in whole seconds or fractions of a second. The longer your camera’s shutter stays open, the more light that comes in. It’s important to balance aperture size, shutter speed, and exposure settings when attempting a long-exposure shot. A tripod can make the difference between a clear shot or a blurry mess when you start experimenting with shutter speed. A slave flash is a flash that isn’t attached directly to your camera but sits elsewhere in the room. A slave flash is any flash that uses a trigger to detect when other flashes go off to make your photo even brighter. Most of the time, a slave flash will be triggered with a radio signal. In certain situations, your environment can interfere with a radio trigger, such as shooting near a chain-link fence or other metal. In these instances, you can use an optical slave, which triggers when its sensor sees another flash go off, typically in milliseconds. Be careful though, if you’re shooting something like a wedding where other people might be taking photos because your optical slave flash will fire when it detects other people’s flashes. This is a method of lighting your photography that acts just like a flash. Whenever your light triggers, it lights up. This is different than continuous lighting, in which has the lighting you’re using is always on. A strobe flash typically lasts around 200 microseconds, but can be faster or slower depending on the use of the strobe. You must either plug it into the wall or carry a large battery pack to power it. Strobe lights are a great option if you’re going to be competing with a lot of other light, such as the sun, during outdoor shots. Strobe Lighting is also useful when you want to capture a specific style in a studio setting. This refers to the material that the digital file is being printed on. This can refer to any and all materials. This is a neat trick where you can distort the perspective of an image to look like your subject is miniature in size by physically moving your camera lens while taking a shot to manipulate the focus and depth-of-field. Achieving a tilt-shift image requires a rotation of the lens plane relative to the image plane (There’s your tilt!) and a movement of the lens parallel to the image plane (There’s your shift!). There are special lenses, such as a perspective control lens, that can help you more easily achieve this technique, or you can achieve similar results manually with practice. If you’d like to try, shoot your subjects from a high angle and minimize any people or objects that could be moving for optimal effect. A video (with or without sound), comprised of several shots of the same thing taken at different times is a time lapse video. Using the outdoors as an example, you could make a time lapse of Central Park starting in January, and take a subsequent shot in the same location, of the same exact subject, each following month to capture what that scene looked like through spring, summer, fall, and winter. Useful in any photographer’s arsenal, a tripod is a stand that you can attach your camera to, to ensure a steady, stable shot. Typically, you can adjust each of the stand’s three legs to different lengths to accommodate your location. Most tripods also feature a small boom arm that lets you make micro adjustments to your camera’s angle. 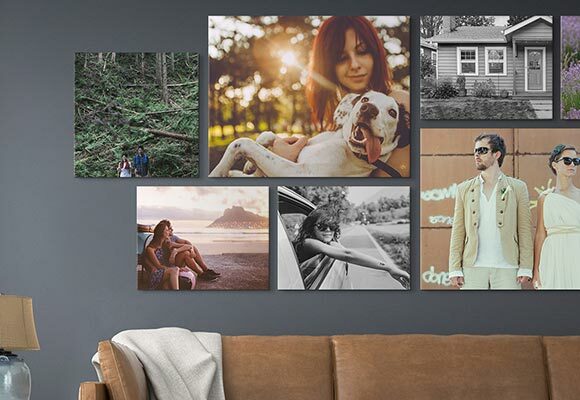 Printed on the same genuine artist-grade canvas that makes up our canvas wraps, unstretched canvas (aka rolled canvas prints) give your photos a beautiful finish without being wrapped around and mounted to a full hardwood frame. The viewfinder is what you look through on your camera to frame your shot. On analog SLR cameras and on some digital cameras, there is a physical window you look through. This is typically at the top of the camera near the hot shoe. Some newer DSLR cameras don’t have a viewfinder and instead the photographer uses the large digital display found on the back. Like the name says, white balance is when you adjust your camera’s settings so that it can accurately read and recreate white objects and backgrounds in your shot. Otherwise, your image may come out with the wrong hue. To test your camera’s white balance before shooting, you can always take a picture of something like a plain white wall and adjust your white balance based off that image. An alternative to radio triggers or optical slaves when using an off-camera flash is to use a wired sync. Also called a “sync cord” or a “PC cord,” with a wired sync, you physically connect a wire from your camera to the flash. Using a wire can often help with latency, but also creates more stuff on the ground that you have to watch out for, so you don’t trip during your shoot. The alternative to using a wired sync for your off-camera flash is to use a wireless remote. A good wireless remote will have multiple channels you can tune in to and avoid any outside interference. Many wireless remotes can mount directly into your camera’s hot shoe.